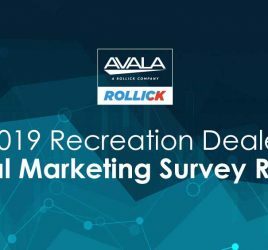 AUSTIN, Texas, Feb. 12, 2018 /PRNewswire/ —Rollick Outdoor, Inc. is continuing its rollout into seven new states following a successful pilot program in Texas, Florida and Illinois. 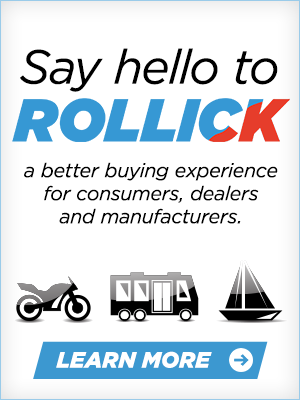 dealers now have access to Rollick’s retail platform. 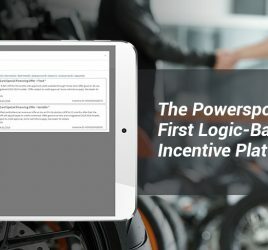 Powersports, Marine and RV retailers as well as manufacturers use Rollick’s marketing platform to provide a personalized experience both online and in the store to Rollick’s Member Network of active military and veterans, first responders, and other members of large affinity groups, including banks and insurance companies. “We help dealers and manufacturers engage the modern consumer with an experience that buyers have come to expect when making meaningful purchases,” said Bernie Brenner, Rollick’s CEO. 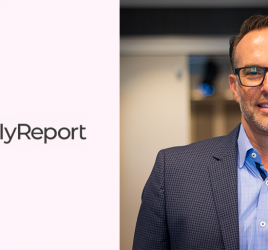 “This applies to all buyers, not just millennials who have clearly shown a preference for retailers that demonstrate transparency during the buying process.”Millennials are an important segment for retailers. A recent CDK Global Recreation study for Powersports Business determined that millennials bought more motorcycles in 2017 than any other generational cohort. And the RV Industry Association said that 2017 was the ninth straight year of increasing recreational vehicle sales.”Families with kids at home are buying RVs and we’ve seen a big influx of millennial buyers over the last two or three years,” said Broom of the RV Industry Association. Rollick dealers present the full value of “why to buy” from them, which includes communicating the price to qualified affinity members on a one-to-one basis. That connection creates more trust and demonstrates that a personalized sales experience leads to a more loyal customer base. “Rollick has been a great platform for us to start a conversation with buyers and communicate our overall value,” said Brent Alford, President of East Texas Powersports. “The close rates are much higher than what we normally experience and we are training all of our staff to use Rollick for both online and walk-in customers,” he said. According to a December 2016 Pew Research study, 86 percent of consumers researching online want to understand what they can expect to pay before selecting a retailer. “With today’s ever-changing consumer buying behavior, we have been looking for new ways to create a more frictionless buying and ownership experience,” said Claudia Perez, Operations Manager of Del Amo Motorsports Group, with three locations in Southern California. “Through Rollick’s direct access to the largest membership organizations, we now have the ability to deliver real-time exclusive savings offers that today’s consumers expect,” she said.